Subscribe to Cyclist magazine for $119 Or $177 and receive a ANGi Crash Sensor! The ANGi Crash Sensor calls for help when you need it most. Fitted to Specialized helmets (and also compatible with other brands), the ANGi pairs to the Specialized Ride App for iOS or Android devices. 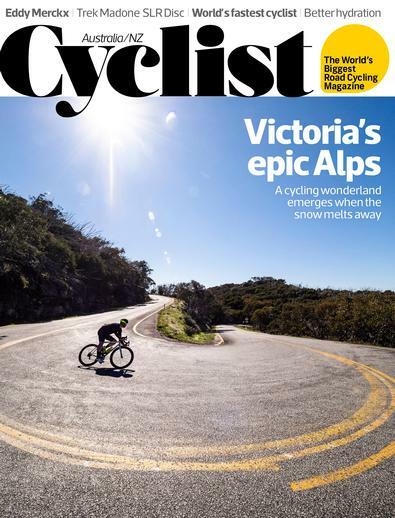 Dedicated solely to the exhilaration of road cycling, Cyclist is the very first magazine of its kind. A celebration of the rides, the travel and the latest gear - we'll show you how to get the best from your ride every time. • Moneyback guarantee - if for any reason you're not satisfied you can write to cancel at any time and receive a refund of the cost of all unmailed issues.